Toyota has revealed pricing details for a large selection of its 2013 model year vehicles. Among pricing for many of its SUVs and trucks, the 2013 Toyota Camry Hybrid and 2013 Toyota Prius C see small price increases. The Camry Hybrid now ranges from $26,140 for the LE grade, to $27,670 for XLE models. That's an increase of $165, or 0.6 percent. 2013 Camry Hybrids achieve up to 43 mpg city, 39 highway, and 41 mpg combined. Toyota's 50 mpg Prius C also goes up, prices starting from $19,080 for the Prius C One, through $23,360 for the Four model. That represents a rise of $130, or 0.6 percent. The Prius C also gets interior upgrades, with 'SofTex' material now covering the dash panels of the Two and Three-spec models, and the steering wheel of the Prius C Four. Official combined economy for the Prius C is 50 mpg, with 53 mpg city and 46 mpg highway. Highlander Hybrids have also risen in price a little, by a maximum of 0.5 percent. Both the Hybrid and Hybrid Limited have risen by $200, to $39,970 and $46,170 respectively. 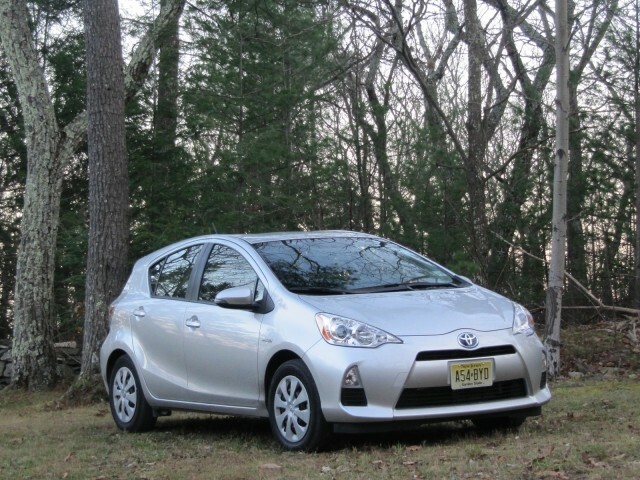 Both 2013 Camry Hybrid and Prius C will hit dealerships in early January.